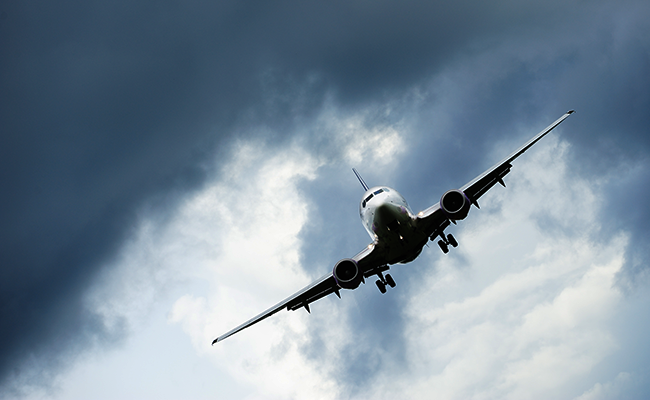 Commercial aviation sees safety improvement continue | Airlines. 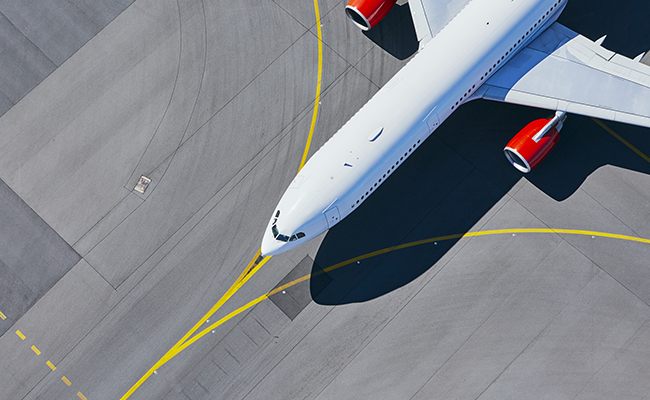 The commercial airline industry continued to see strong improvements in safety in 2017. 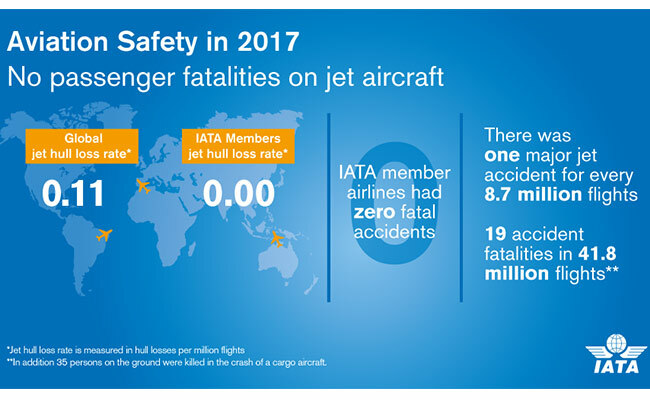 Data from IATA shows an all-accident rate, measured in accidents per million flights, of 1.08, down from 1.68 in 2016 and 2.01 in the previous five-year period between 2012 and 2016. The 2017 rate for major jet accidents, measured in jet hull losses per million flights, was 0.11, equivalent to one major accident for every 8.7 million flights, and improved from 0.39 in 2016 and from 0.33 in the previous five-year period. According to the data, there were six fatal accidents, with 19 deaths among passengers and crew. This is against an average of 10.8 fatal accidents and around 315 deaths per year in the previous five-year period. There were nine fatal accidents and 202 deaths in 2016. Not one of the fatal accidents involved a passenger jet, with five involving turboprop aircraft and one a cargo jet. The cargo jet crash also resulted in the deaths of 35 people on the ground as well as the jet’s crew. Not one of the fatal accidents involved a passenger jet, with five involving turboprop aircraft and one a cargo jet. 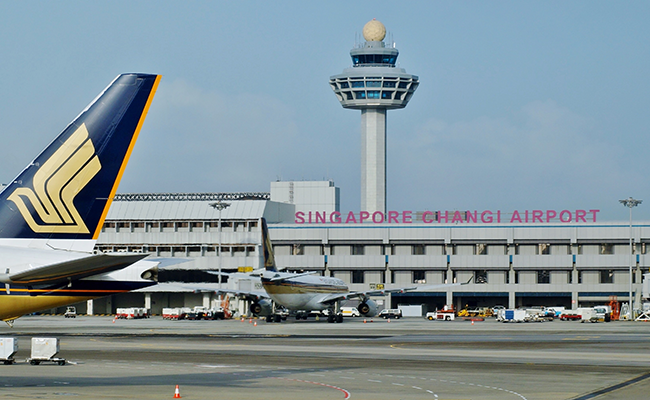 IATA member airlines did not experience any fatal accidents or hull losses with jet or turboprop equipment. Commenting, IATA Director General and CEO Alexandre de Juniac said lessons would be learned from 2017’s incidents and accidents, as well as from the millions of safe flights with resulting information contributing to the development of predictive analytics with an ultimate goal of identifying and removing the conditions that can lead to accidents in future.